The air conditioning system of every car is made up of very important components such as the hoses, evaporator, receiver dryer, condenser, and compressor. Without a working condenser, the air conditioner will not be able to convert gas refrigerant into liquid refrigerant. This will result in no cool air being generated by the air conditioner. Instead, you’ll have lukewarm air coming out of the ventilation system. Eventually, the car will start to overheat and then a burning smell will spread everywhere. Once these things happen, it is a sign that you need a new condenser. There are two likely scenarios which would cause a condenser to malfunction. First, the condenser has lots of seals and tubes, and any one of them could start leaking after using them for a while. If this starts happening, then you’ll need to replace the entire condenser because it is impossible to just replace the seals and tubes of the condenser without replacing the whole thing. Therefore, you’ll want to regularly check and maintain your seals and tubes to ensure they are functioning properly for a long time. The second scenario that could cause a malfunctioning AC condenser is if there is metallic debris blockage that is preventing the refrigerant from circulating by the condenser. 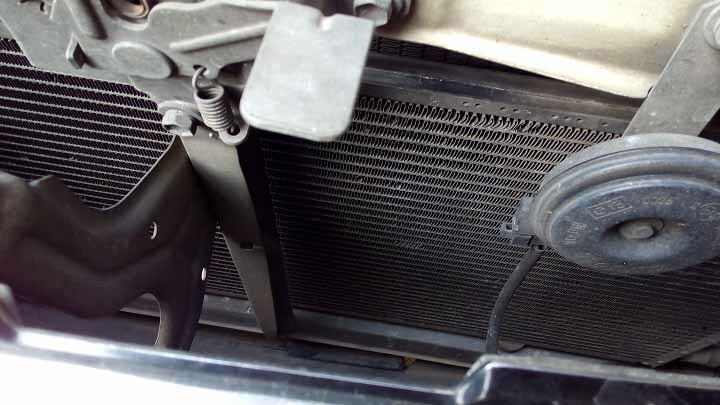 This metallic debris usually shows up when the AC compressor becomes defective, causing its internal parts to break apart and fall into the system. In this scenario, you would need a new compressor and a new condenser. The cost of replacing an AC condenser is dependent on the type of vehicle that you have. On average, it should cost you between $600 and $700 to replace the condenser in most standard vehicles. However, you have to factor in the labor costs as well which will typically be between $200 and $300. The best way to preserve the lifespan of your condenser is to clean it periodically. Even if you have to pay a maintenance man to do the cleaning, it is still cheaper than having to purchase an entirely new condenser. If you want to do the cleaning yourself but are not sure how to do it, there are plenty of YouTube video tutorials which can help guide you too.